Welcome to the Contra Costa Christian Elementary School. The elementary school strives to educate the whole child - academically, emotionally, physically, socially, and spiritually. We balance these different parts recognizing that each child is uniquely made in God’s image. CCCS embraces the individual learning styles of each student, allowing us to provide them a learning environment where students thrive. By using differentiated instructional strategies, we provide a learning environment where every child can find success and learn in a method most effective for them. ​Teachers are aware of each student's individual needs and backgrounds in their classroom. Another distinctive quality of CCCS is the strong commitment to integrating the Biblical truth into the curriculum. We want the students to incorporate a Christian worldview into all aspects of their lives and learn how to live in light of God's amazing love for us. Our academic program is rigorous, and our teachers differentiate instruction to provide enrichment and/or remediation as needed. ​The elementary school chooses curriculum materials on the basis of educational quality and developmental appropriateness. Our educational program is defined by the standards that students are expected to achieve, not textbooks. We use a variety of resources in classrooms to support student learning. We follow California state educational standards. ​Elementary students participate in specialist classes including physical education (PE), music, library, and computers. Technology is integrated into the classroom instruction in many areas. All teachers use collaborative groups and teamwork within the classroom to enhance and foster an effective learning environment. 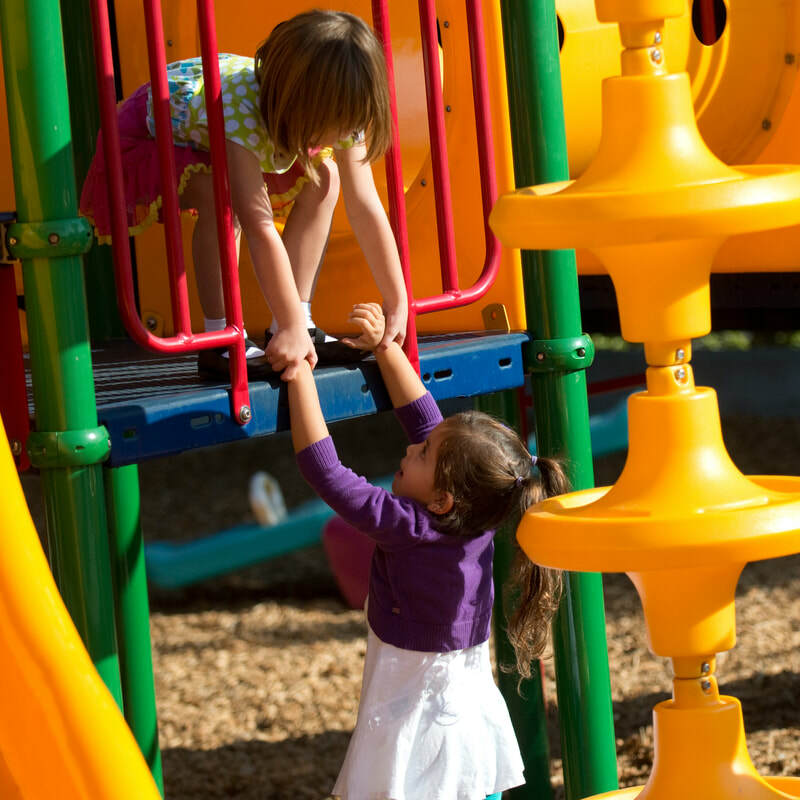 ​After school activities provide additional opportunities for physical, artistic, social and academic enrichment. 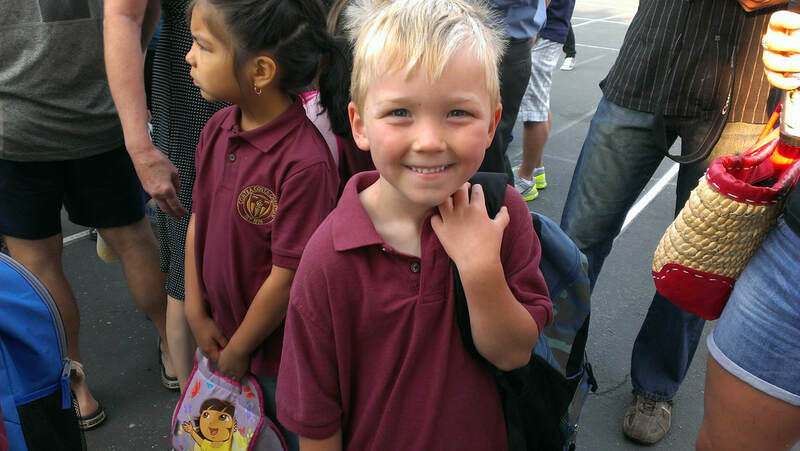 For more on our after school program, please check out our Cougar Cub Club. Field trips provide opportunities to extend learning beyond the walls of the classroom and into the real world. Elementary students participate in Bible as part of their daily curriculum. We use Scripture and integrate Biblical truth throughout the day, not just during Bible class. ​Every student participates in weekly chapel services. In the elementary, chapel includes praise and worship, Bible teaching, and recognition of character qualities. We are educating students for a world that is constantly changing. We want students to identify problems in the real world, critically evaluate how to develop solutions, and take action to make their communities better. No student is too young to begin learning these skills. We are committed to make sure our teachers continue to update their training through our professional training. We also want to engage students with the plethora of technology available to them inside and outside the classroom. 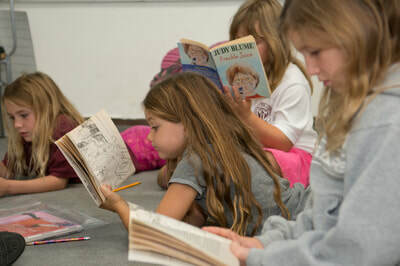 Contra Costa Christian Elementary School promotes high academic standards and spiritual development through its extensive curriculum, daily devotions, Wednesday chapels, co-curricular programs, and special events and projects throughout the year. ​Please contact us for a school tour! Our educational program is defined by the standards that students are expected to achieve, not textbooks. We use a variety of resources in classrooms to support student learning. We follow California state educational standards. The goal of the Language Arts program is to ground students in foundational literacy skills. Students form a strong foundation of written and oral communication along with the ability to work in teams. They work on skills such as peer and self-editing. We want all students to become effective speakers, writers, and listeners through practice and application of their language arts skills. 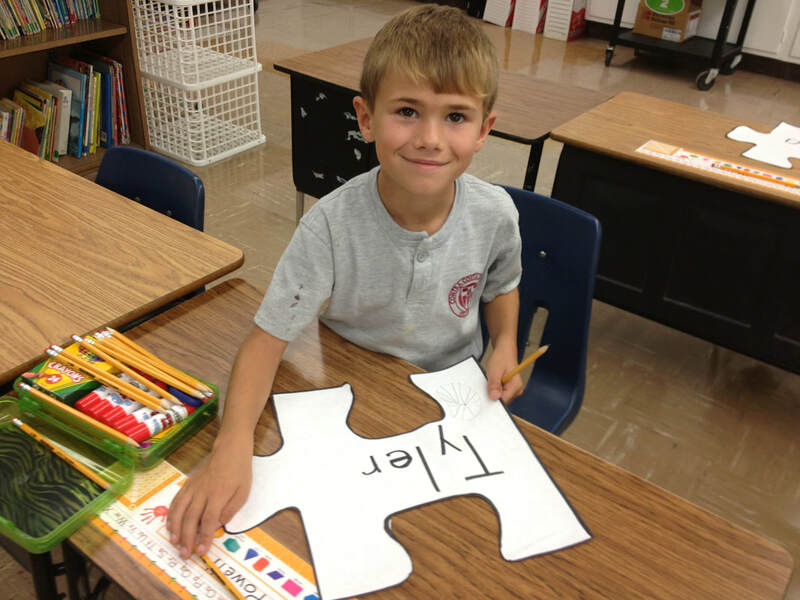 Math at CCCS is carefully crafted to capitalize on children’s interests and maximize student learning. The math curriculum includes a balance of exploration (discovery and investigation), precision (drill and practice of basic skills), and application (using math in real life situations). Students find out that there are predictable patterns in nature and numeracy. Children are naturally inquisitive and our elementary school science curriculum engages this curiosity about the world to develop learning and exploration. Students are given the opportunity to engage in collaborative learning that makes science interesting and exciting. Regular field trips also support student learning and often provide a richer, hands-on experience. The science program encourages exploration, experimentation and discovery. It builds on the development of scientific skills–asking questions, predicting, experimenting, observing, recording, researching, analyzing, concluding and communicating. The social studies curriculum equips our students to participate productively and responsibly in our ever-changing global world. Students wrestle with real world problems and apply their learning to their local communities. They identify challenges in our own communities as well as in other locales around the world. They are challenged to critically analyze and evaluate how to solve these larger problems. Students apply knowledge and develop a comprehensive skill set that integrates with the other areas of study. The curriculum focuses on citizenship, civics, culture, economics, geography and history. These studies enable students to gain an understanding of their past and present to better prepare for their future. CCCS uses Art in Action to guide their Art curriculum. Art is done in the homeroom classroom, but is a routine part of the class. The students gain exposure to different artist and styles of work and then have the opportunity to apply their new understandings. Students at CCCS are involved in devotions, Bible classes, chapel, and an integrated Biblical worldview to grow them spiritually and firmly in their walk with Christ. The primary goal is for the students to develop a relationship with Christ, but to also see how the Bible and God work in their everyday lives and don’t have to be separated out. CCCS offers music to students in Grades K-3 two days a week. The class introduces the students to different styles of music as well as different musical instruments. The students have an opportunity to be hands-on and involved in their music education. 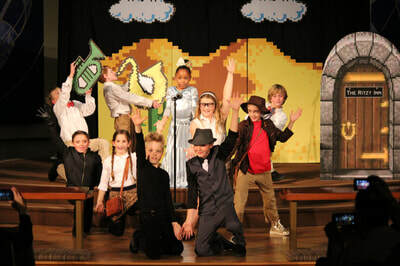 In 4th grade the students are involved in a musical and have numerous opportunities to sing, dance, and act as they perform. 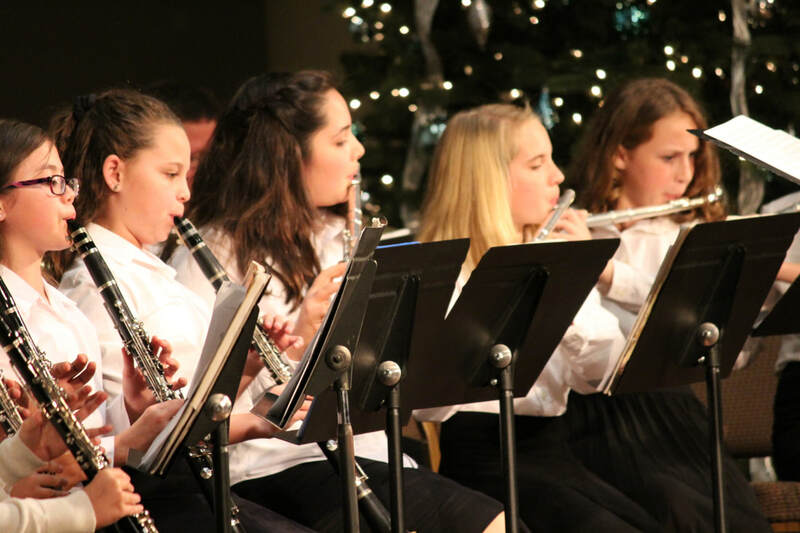 They are also involved in a recorder ensemble that meets two times per week. The fifth graders at CCCS participate in band. The PE program at CCCS encourages and teaches healthy life skills that will have a lasting impact on students. We want students to enjoy being active and making healthy decisions about how they are fueling their bodies. In addition, they are gaining skills in different sports, games, and activities as well as how to work together with their classmates/teammates. Students participate in PE two times per week. Technology is a vital part of our culture and the culture our students are being raised in. Therefore, a high priority is set of training students to use different technology tools to demonstrate understanding of classroom concepts. It is also vital to educate students on appropriate use and safety using technology. We integrate technology into the classroom and use technology to enhance the curriculum in many subject areas. Mrs. Veltkamp has been a classroom teacher since 1998 and has been teaching Kindergarten at CCCS since 2003. She graduated from Dordt College in Sioux Center, Iowa with a B.A. degree in Elementary Education. She has over 30 units beyond her B.A. in a variety of subjects, including early childhood. She previously taught second grade for two years, elementary music for 2 years, and had a preschool/daycare in her home for 15 years. All four of her children attended CCCS and graduated from Christian colleges with degrees in business, social work, and elementary education. She enjoys spending time with the family during breaks often camping and swimming or hiking. Her hobbies are crafts and sewing. Mrs. Veltkamp loves the Kindergarten age where the children are eager to please and love learning in a fun environment. She brings music regularly into the classroom and loves teaching the children about our awesome God. Mrs. White began teaching first grade at CCCS in 2016. ​She graduated from Cal State University: East Bay with a Bachelor’s Degree in Liberal Studies, and a Minor in Human Development. She has always enjoyed working with children. She knew from an early age that she would make this her career. She enjoys 1st grade because it is the year that solidifies everything that they were taught in Kindergarten. She enjoys making them feel confident in not only themselves, but in their academics as well. ​In her spare time, Mrs. White enjoys spending time with her family and friends. She loves coffee, hiking and anything regarding music! Miss Hoogwerf has been teaching second grade at CCCS since 1999. She came to CCCS after graduating with a bachelor's degree in Elementary Education from Dordt College in Sioux Center, Iowa. She has wanted to be an elementary teacher for as long as can remember. She enjoys teaching second graders because it is fun to get to know the kids, to come up with creative learning experiences for them, and to help them gain a better understanding of God's world. ​In her spare time Miss Hoogwerf enjoys playing piano, being involved in praise team at church, hiking, running, walking, scrapbooking, shopping, baking, cooking, playing games and watching movies. Mrs. Santoro graduated from UC Davis and has been teaching at CCCS since 2002, spanning four different grades. ​She home schooled her four children for twelve years. Mrs. Santoro has taught Kindergarten for six years where she loved teaching children to read. Since 2008 she has been teaching third grade. In her free time, Mrs. Santoro loves to read for relaxation and hike with her family. Ms. Martell joined CCCS in January of 2012. ​She graduated with her Bachelor’s degree from California State University, San Francisco. This is her 14th year as a classroom teacher in Christian schools. Her previous teaching experience has been in 1st, 3rd, and 5th grades. She is invested in the social, spiritual and academic growth of her students, and enjoys building relationships with them. In her spare time, Ms. Martell enjoys time with family and friends, hiking, pilates, reading, and sewing. Ms. Peta Siacor has been teaching fifth grade at CCCS since 2017. She previously taught in the CCCS preschool before leaving to teach in the Walnut Creek School District and San Ramon Valley Unified School District. 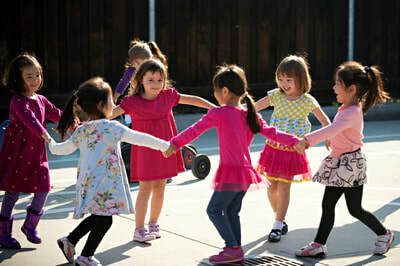 Peta has taught in a range of classroom settings including regular/mainstream, special education, gifted and talented (GATE) and Academic Talent Program (ATP) classrooms. 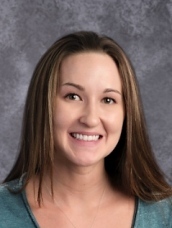 Ms. Siacor received her Bachelor of Arts in Elementary Education from Curtin University, Western Australia, and has a California, Multiple-Subject Teaching Credential. She taught in elementary classrooms for several years in Australia, before traveling to Japan where she taught English as a Second Language (ESL). Peta and her two children moved from Guam to California which they now call home. 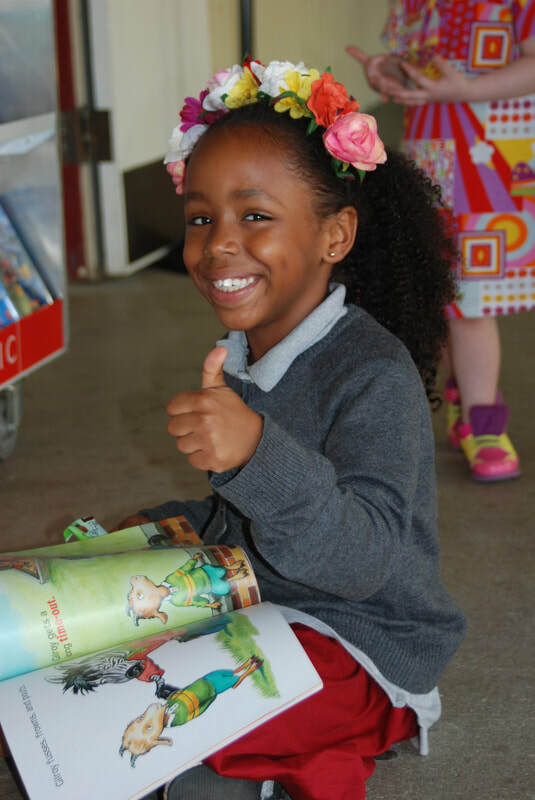 Her goal for 5th grade is to foster a positive, safe, caring environment where students’ curiosity is engaged, they are challenged to just the right degree, and they are able and willing to rise to that challenge and experience success. She loves to incorporate the arts, creativity, and technology in the classroom and can’t wait to begin the new school year!